ICC has revealed a 14-member officiating panel for the ICC Women's World T20 2018. The International Cricket Council today announced its 14-person match officials team, which will officiate in next month’s ICC Women’s World T20 2018. The 10-team tournament will run from 9 to 24 November in Antigua, Guyana and Trinidad, with hosts the Windies defending the title they had won in Kolkata two years ago. 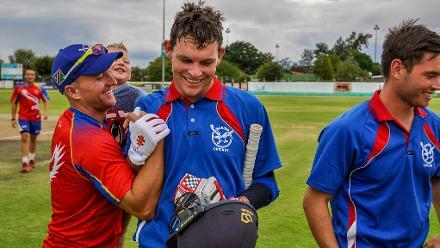 The list includes Richie Richardson of the Emirates ICC Elite Panel of Match Referees and Graeme La Brooy of the Emirates ICC International Panel of Match Referees as the match referees, eight umpires from the Emirates ICC International Panel of Umpires and four from the ICC Development Panel of Umpires. 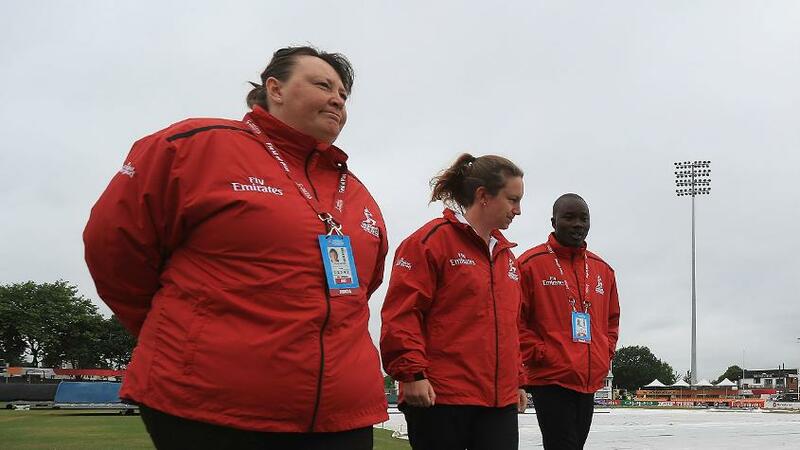 Among them are four female umpires - Kim Cotton, Sue Redfern, Claire Polosak and Jacqueline Williams – and eight men’s umpires, namely Ahsan Raza, Gregory Brathwaite, Shaun George, Wayne Knights, Nitin Menon, Sam Nogajski, Langton Rusere and Sharfuddoula Ibne Shahid. Richardson will lead the playing control team in Guyana, which will also include Brathwaite, George, Knights, Polosak, Redfern and Rusere while the St Lucia team will include Raza, Cotton, Menon, Nogajski and Sharfuddoula with La Brooy as the match referee. Umpire Williams will officiate at both the venues. The tournament opener between New Zealand and India in Guyana will be umpired by Brathwaite and Polosak, with George as third umpire and Redfern as the fourth official. The on-field responsibilities for the second match of the opening day between Australia and Pakistan will be shared between George and Williams, with Knights as the third umpire and Brathwaite as fourth official. The West Indies versus Bangladesh match, which will be the last match of the opening day, will be umpired by Rusere and Redfern, with Polosak as the third umpire and Knights as the fourth official. Cotton, a Canterbury-based lawyer who made her international debut last season as on-field umpire during the Windies women’s tour of New Zealand, had more recently umpired in the ICC Women’s World T20 regional qualifier 2018 in Fiji. After the #WWC17 triumph, the England captain wants to lead her side to Women's #WT20 🏆 glory in the Caribbean. Redfern has the distinction of both playing and officiating in ICC Women’s World Cups as she played in the event in India in 1997 and then officiated in the ICC Women’s World Cup 2017 in England. Like Redfern, Polasak and Williams too officiated in the ICC Women’s World Cup last year. 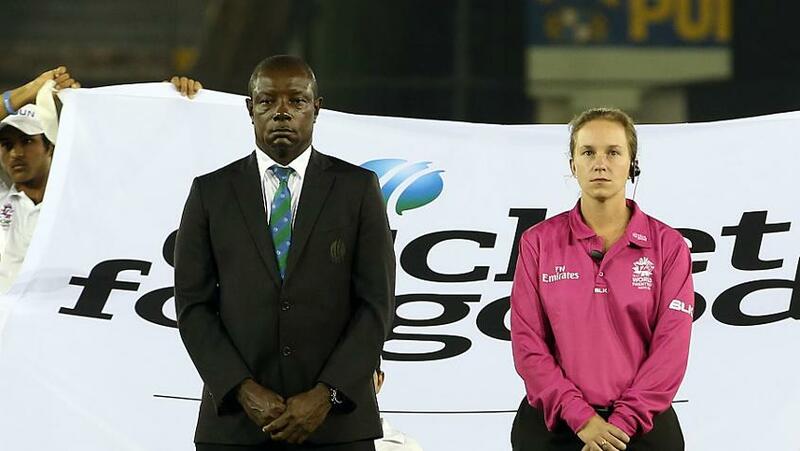 Polasak has the distinction of standing as an on-field umpire in a men’s domestic fixture in Australia while Williams was the first female umpire to stand in domestic cricket in the West Indies. Complete umpire and match referee appointments are available in the Resources section of the Online Media Zone. Appointments for the knock-out matches will be made following the conclusion of league matches.